Langlade County, WI is located between Wausau and Crandon in the north eastern part of the state with the Wolf River flowing through it. Langlade is known for its lakes, fishing, hunting, public land, cross country skiing, mountain biking, ATVing, snowmobiling, whitewater rafting, horseback riding which also has Bogus Swamp State Natural Area, Minito Lake State Natural Area, Flora Spring Pond State Natural Area, Bear Caves State Natural Area, Wolf River State Trail, Peters Marsh State Park, Summit Lake, Greater Bass Lake plus a couple communities including; Elcho, Pearson, Deerbrook, Bryant, Elton and Antigo. It's surrounded by 7 other Counties; Oneida, Forest, Oconto, Menominee, Shawano, Marathon and Lincoln. On this page you will find Waterfront Restaurants, Steakhouse, Seafood, Diners, Cafes, Fast Food, Pizzerias, Eat Stands, Barbecues, Buffets, Coffee Houses, Bars & Grills, Pubs, Taverns, Family Style, Burger Joint, Ethnic Restaurants, Casual Dining, Food Truck Services, Other Restaurants; Greek, Italian, Mexican and more located in this county listed by real estate agents. 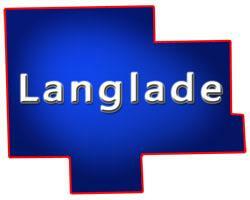 Langlade County, Wisconsin GIS MAP Information!